UPDATED: Wed., Jan. 3, 2018, 9:09 a.m.
TEHRAN, Iran – Tens of thousands of government supporters took to the streets across Iran on Wednesday as authorities tried to project a sense of stability after a week of nationwide protests sparked deadly clashes and calls for the downfall of the Islamic Republic. One showed protesters in Shahinshar, 200 miles south of Tehran, throwing objects at a base of the Basij, a volunteer force affiliated with the paramilitary Guard. A gunshot and muzzle flash could be seen in the footage taken in Isfahan province, where there have been days of protests. 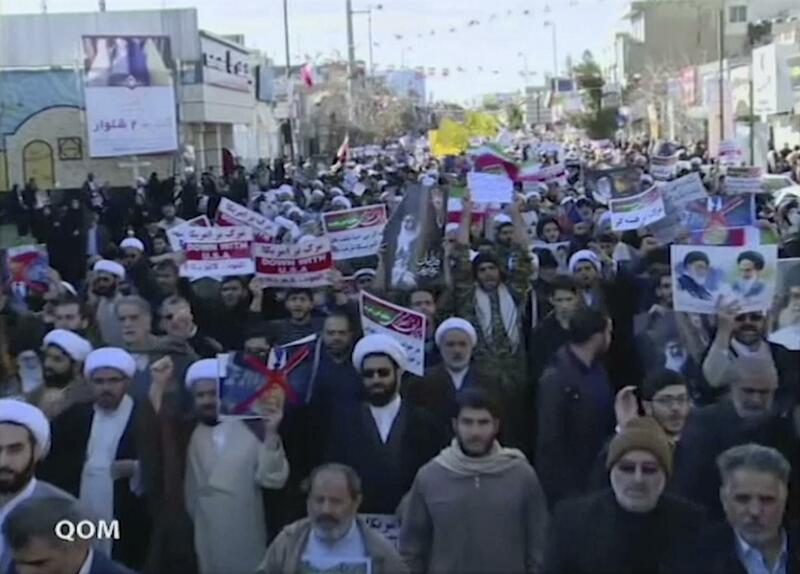 Another series of videos showed protesters in the city of Noor Abad, some 225 miles southwest of Tehran, offering a glimpse into how demonstrations can turn violent. Published: Jan. 3, 2018, 8:41 a.m. Updated: Jan. 3, 2018, 9:09 a.m.